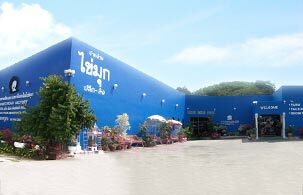 Pearl is valued as a gemstone and is cultivated or harvested for jewelry… Phuket Peal Factory recognized as a famous pearl manufacturer in Phuket with large pearl farm, high technology pearl processing through a variety of pearl products. We create every pearl product from Mabe Pearls, Akoya Pearls and South Sea Pearls for tourists or interested people. Furthermore, the newest product from Phuket Pearl Factory is “Rather Round Pearl”. It is blending unique of South Sea Pearls and Mabe Pearls together to bring the new beauty of gold-rainbow colour. Pride of Phuket Pearl Factory only we in Phuket are chosen for the top product of nation standard; a type of dressing accessory of Phuket... so every piece of our products is the best.